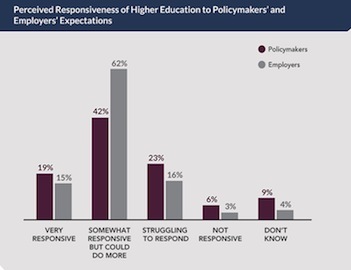 Through periodic polls of higher education leaders What’s AHEAD: Key Trends in Higher Education will generate and publish research about important trends in higher education management. The polls are designed to contribute to research that is useful to both participating leaders and the field more generally. Click here to become a "Higher Education Trend-Spotter" and complete the What's AHEAD quarterly polls. Click here if you would like to join our email list and receive the results of future What’s AHEAD polls. Administered shortly after the white supremacist rally in Charlottesville, the latest What’s AHEAD poll focused on freedom of speech on college campuses. We are pleased to share the results, along with commentary from Dr. Sigal Ben-Porath, Professor at the Penn Graduate School of Education and the author of Free Speech on Campus recently released by University of Pennsylvania Press, and Penn GSE alumni Dr. Brandi Jones (University of Southern California) and Dr. Mary Finger (Seton Hill University). 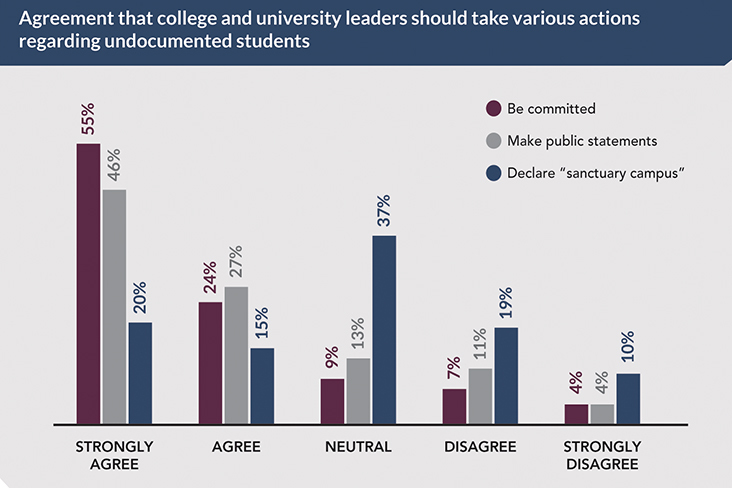 The latest What’s AHEAD poll focused on issues of undocumented students, sanctuary campuses, and immigration policy. We are pleased to share the results, along with commentary from Penn GSE alumni Dr. Melanie Corn (Columbus College of Art and Design) and Dr. Victor Aloyo (Princeton Theological Seminary), and framing comments from Dr. Matthew Hartley of Penn AHEAD. 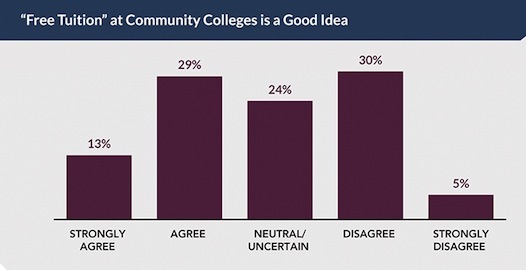 We are pleased to share the results of our latest poll, along with commentary from Penn GSE alumni Dr. LeManuel Lee Bitsoi (Rush University Medical Center) and Dr. Stacia Edwards (Columbus State Community College). The latest What’s AHEAD poll focused on academic freedom, tenure, and shared governance. We are pleased to share the results, along with commentary from Penn GSE alumni Dr. Kelly Thompson (Culver-Stockton College), Dr. José Antonio Guzmán (Universidad de los Andes), and Dr. Michael Class (Marquette University). 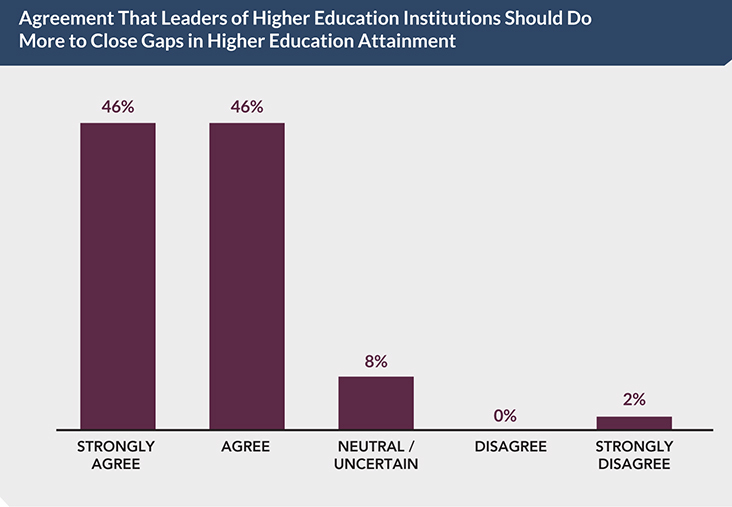 The latest What’s AHEAD poll focused on differences across groups in higher education attainment. We are pleased to share the results, along with framing comments from Dr. Laura Perna of Penn AHEAD, and commentary from Penn GSE alumni Dr. Michael Sorrell (Paul Quinn College), Dr. Julie Amon (Rutgers University-Camden), and Dr. Anthony Rini (Northeastern University). 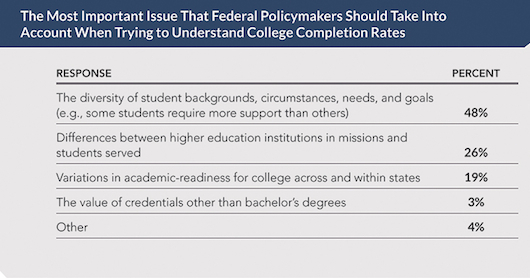 The ninth What’s AHEAD poll focused on what the presidential candidates and federal policymakers should know about improving college student success. We are pleased to share the results, along with commentary from Penn GSE alumni Dr. Ellie Fogarty (Middle States Commission on Higher Education), Dr. Ronald Jackson (Brooklyn College), and Dr. Daniel Martin (Seattle Pacific University). The eighth What’s AHEAD poll focused on sexual violence on campus. We are pleased to share the results, along with framing comments from Dr. Larry Moneta (Duke University), and commentary from Penn GSE alumni Dr. Sandra Johnson (Rochester Institute of Technology), Dr. Dawn Pleas-Bailey (Southwestern College), and Dr. Jason Rogers (Belmont University). The seventh What’s AHEAD poll focused on college affordability. We are pleased to share the results, along with framing comments from Dr. Martha Kanter (New York University), and commentary from Penn GSE alumni Dr. Kenneth Saunders (Nassau Community College), Dr. Stacy Sweeney (Bay State College), and Dr. Scott Flanagan (Edgewood College). 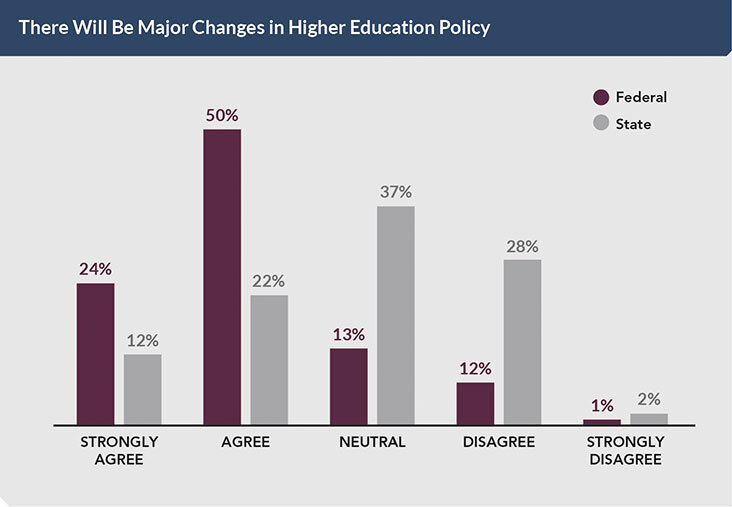 The sixth What’s AHEAD poll focused on public perceptions of higher education. We are pleased to share the results, along with commentary from Penn GSE alumni Dr. Dorcas Colvin (American Association of State Colleges and Universities), Dr. Sharon DeVivo (Vaughn College), and Dr. Peter Jordan (Tarrant County College – South Campus). 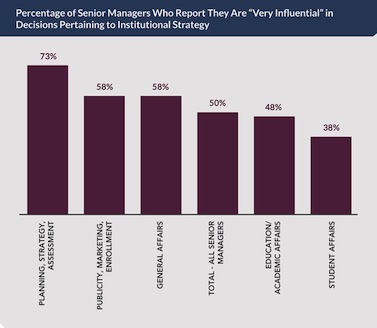 Higher Education Leaders: What Institutional Decisions Do They Influence? 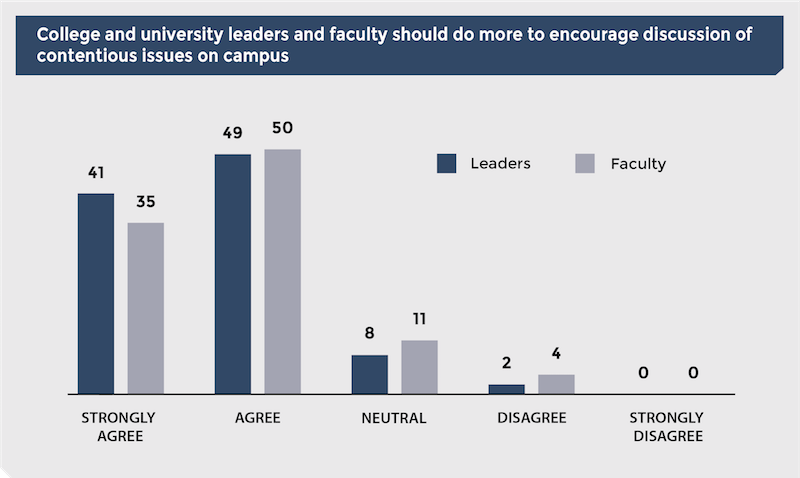 The fifth What’s AHEAD poll focused on the perceived influence of higher education leaders on vari­ous areas of decision making in higher education. We are pleased to share the results, along with framing comments from Penn AHEAD senior scholar Dr. Robert Zemsky, and commentary from Penn GSE alumni Dr. Barbara Risser (Finger Lakes Community College) and Dr. Roger Ward (University of Maryland, Baltimore). Intercollegiate Athletics: An Important Component of Higher Education? The fourth What’s AHEAD poll focused on Intercollegiate Athletics. We are pleased to share the results, along with framing comments from Dr. Shaun Harper, Executive Director of Penn’s Center for the Study of Race and Equity in Education, as well as commentary from Penn GSE alumni Dr. Sue Wasiolek (Duke University) and Dr. Karen Weaver (Drexel University). 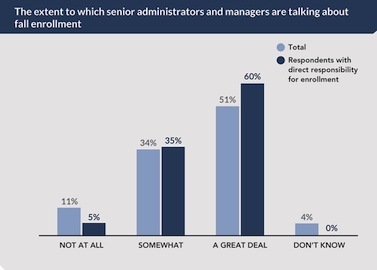 Our third What’s AHEAD poll focused on Fall Enrollment. We are pleased to share the results, along with commentary from Penn AHEAD’s Peter Eckel and Penn alumni Robert Alexander, Kathryn Regjo, and Jenny Rickard. The second What’s AHEAD poll focused on Accountability and the Obama College Scorecard. We are pleased to share the results, along with framing comments from AHEAD senior scholar Bob Zemsky, and commentary from Penn alumni DeAngela Burns-Wallace, José Antonio Guzmán, and Philip Rogers. 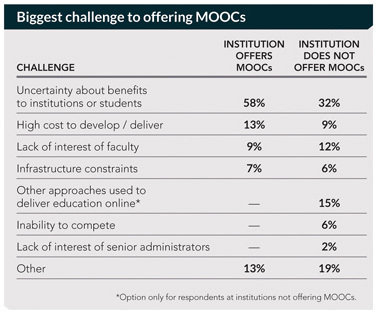 The inaugural What’s AHEAD poll focused on Massive Open Online Courses (MOOCs). We are pleased to share the results, along with framing comments from Laura Perna and Alan Ruby, and commentary from Wally Boston, Peggy McCready, and Candace Thille.